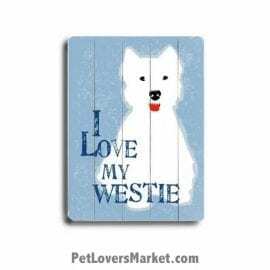 Do you love the Westie dog breed? So do we! Westies are wonderful dogs. 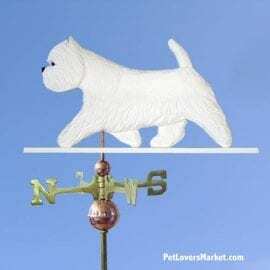 Our pet store offers home decor and garden decor featuring the Westie dog breed. 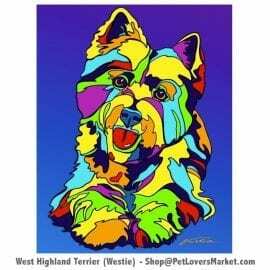 View our collection of Westie pictures, Westie art, Westie dog painting, and Westie gifts. 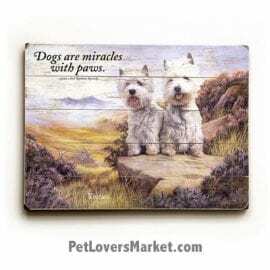 These include: dog prints on wood; dog paintings on matted or canvas prints; dog weathervanes; and more. 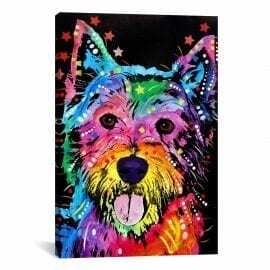 Enhance your home decor with Westie pictures. 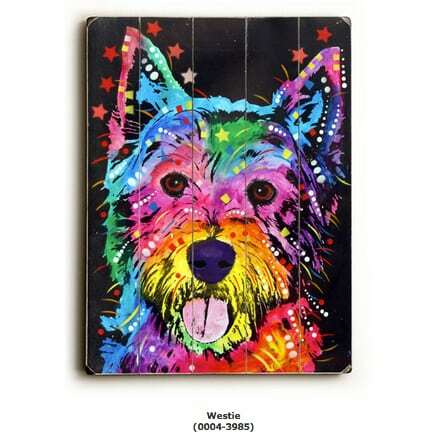 Express your love for dogs with Wesite art and decor. 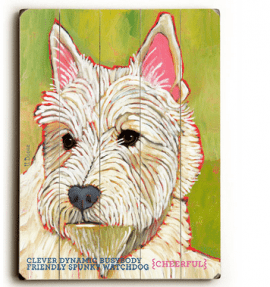 Give Westie gifts to the dog lovers in your life. What a wonderful way to celebrate the Westie dog breed. The West Highland White Terrier (also known as the Westie or Westy) is a Scottish dog breed. Westies have a distinctive white coat, black nose, deep chest, and muscular build. Temperament: Westies can vary in temperament. Generally Westies are independent, confident, loyal, social. Average Height: 10-11 inches high at shoulder. Average Weight: 13 to 22 pounds. Average Life Span: 12-16 years.